Influenced by her experiences in New York City as both a psychotherapist and a business professional, Katie’s approach combines an innate understanding of her clients’ needs with fresh perspective on risk-taking. It is this rare hybrid of specialties that makes for an extraordinary learning experience as her clients seek to integrate new paths towards success and ultimately build their legacy. A native Californian who spent time living in Europe, Katie Kelley received her bachelor’s degree in psychology from Boston College and her Masters in Social Work from Smith College. After earning her psychotherapy license while working at Cornell Medical School and working as a therapist in Manhattan during her late twenties, Katie embarked upon a major career change and shifted to medical sales, landing a job with Novartis’ Management Development Sales Team. In order to fuse her clinical training with her business experience, Katie earned certifications from the Organizational Development Program at NYU and the Core Essentials Program at Coach University. Katie’s growing interest in coaching, combined with her desire to help people achieve the life that’s within them, motivated her to launch Legacy Builder Coaching in 2009. An accomplished entrepreneur and avid runner, Katie served as the Portland Director for Ladies Who Launch from May 2009-November 2010. She served on the Advisory Board of Moyo Jasiri in 2011 and is currently a Co-Producer of The Link for Women‘s ‘A Seat At The Table: And Getting It” five month seminar series with her colleague and mentor Cindy Tortorici. 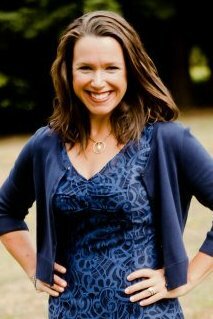 Katie is a regular contributor on ABC’s “AM Northwest”, a morning television show where she designs and writes her own segments on the topics of success and leadership at work. She has appeared on CBS KOIN 6 “Keep it Local,” 1190 KEX “Best of Portland” and can be found on Twitter as @LegacyBCoaching and @Katie_C_Kelley. Katie can also be reached at Katie@legacybuildercoaching.com or (503) 616-6112. Katie and husband Tom left the Big Apple in 2008 and now reside in Portland with their two young daughters.